Monet inspiration from the landscape and his travels, But as with Turner, the work went beyond representation of merely a place, and took on an interiority and an examination of light and different conditions. Waves, all things can be broken down to a wave, sound light, mass. Everything is a vibration. Vibrations as ways of communicating. Om as the sound of the universe? What is your role as a creative thinker and maker? What is it that makes you who you are? And how do you translate this into the work you create? What is "a sense of place?" What does it mean to be a person in a place? How do people shape places, and how are they shaped by them? Can places be in our minds as well as etched in the physical landscape? Are our identities a kind of place, in and of themselves? What am I trying to communicate with my work? How can I use technology in a meaningful way? How do I cull material from my own life and transform it into art? How do we transform the personal into the universal? How do we combat narcissism and the cult of confessional art and writing when using the self as the material base of one's artistic expression? How do I construct a work of art that is successful as parts of an entire body of work? How do you explore and express your own world, your own life, your own familiy, your community, etc. ? With introspection and reflection, you work to uncover your unique creative voice. With inquiry, your curiosity drives you to work from real-life observations and experience. With intution, you draw on your unconscious or subconscious sources of creativity. With interaction, you think about the strength of your collaborations with others; and with impact, you’re trying to communicate at the deepest level with your audience. Places are imbued with meaning through human experiences and expression. People often develop emotional attachments to places that have a certain meaning for them. While places are made out of physical spaces, a sense of place comes from the setting and what a person brings to it. the notion of place is based around four aspects that characterize a person’s experience of a place. A. Physical/structural: Places are made from spaces that we can physically explore and inhabit, so they are physical spaces with some kind of structure; that is to say, they are embodied. B. Personal: This relates to the feelings and emotions we associate with a place, to the memories evoked by it, to the personal knowledge and background we invest the place with while making sense of it. 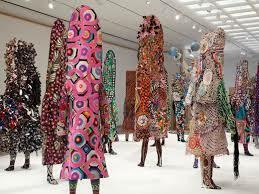 D. Cultural: This has to do with the conventions and cultural identity of a place and of its inhabitants. Each particular experience of place is individual and unique, although it is influenced by the presence of and interaction with others – the social aspect. In order to understand a place and its inhabitants, all four dimensions and their interplay with each other have to be taken into account. Doreen Massey places do not have single identities, but multiple ones. They are not neutral and static, but ever changing. Places are not frozen in time, but are in states of processes.